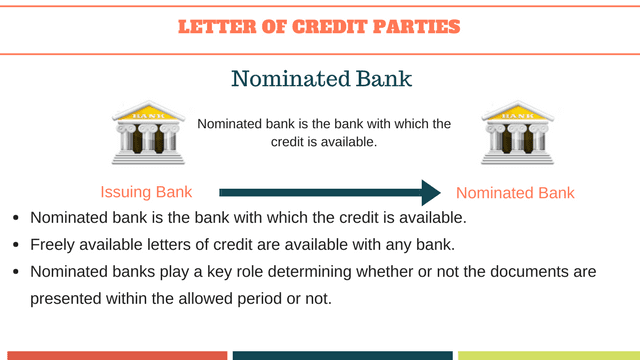 Understanding the roles and responsibilities of letter of credit parties such as applicant, beneficiary, issuing bank, confirming bank, nominated bank and reimbursing bank. This page deals with the parties of the letter of credit. 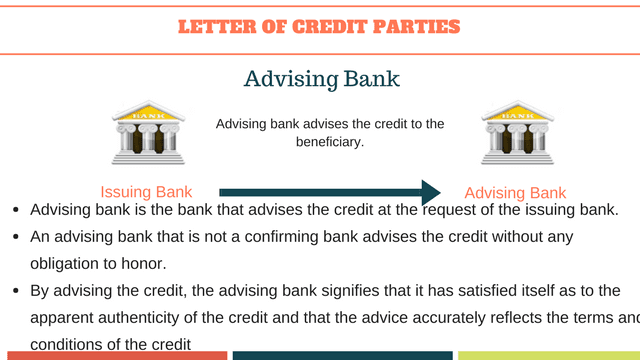 Main parties of a typical letter of credit transaction are applicant, beneficiary, issuing bank, confirming bank, nominated bank, advising bank and reimbursing bank will be discussed in this article. 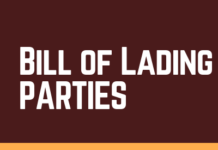 Each L/C party will be presented briefly and its roles and responsibilities will be explained with the help of the graphic illustrations. Applicant is the buyer of the goods or services supplied by the seller. Letter of credit is opened by the issuing bank as per applicant’s request. However, applicant does not belong one of the parties to a letter of credit transaction. This is because of the fact that letters of credit are separate transactions from the sale or other contract on which they may be based. Figure 1 : Applicant. 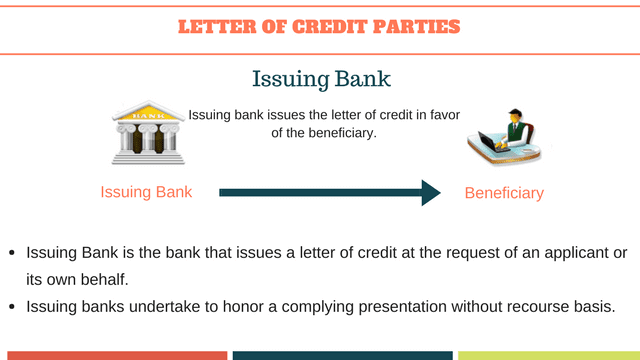 Definition, roles and responsibilities in a letter of credit transaction. Beneficiary is the seller of the goods or the provider of the services in a standard commercial letter of credit transaction. 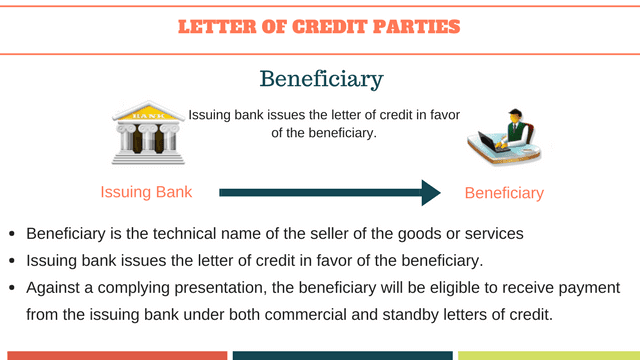 Letter of credit is opened by the issuing bank in favor of the beneficiary. Beneficiaries will be eligible to receive payment under both commercial and standby letters of credit, as long as they make complying presentations. Figure 2 : Beneficiary. Definition, roles and responsibilities in a letter of credit transaction. Issuing bank undertakes to honor a complying presentation of the beneficiary without recourse. Which means that issuing banks must pay the letter of credit amount to the beneficiaries, if complying presentation has been made. Figure 3 : Issuing Bank. Definition, roles and responsibilities in a letter of credit transaction. Nominated bank is the bank with which the credit is available or any bank in the case of a credit available with any bank. Nominated banks play a key role determining whether or not the documents are presented within the allowed period or not. Figure 4 : Nominated Bank. Definition, roles and responsibilities in a letter of credit transaction. Advising bank is the bank that advises the credit at the request of the issuing bank. An advising bank that is not a confirming bank advises the credit and any amendment without any obligation to honor. 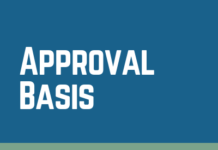 By advising the credit or amendment, the advising bank signifies that it has satisfied itself as to the apparent authenticity of the credit or amendment and that the advice accurately reflects the terms and conditions of the credit. Figure 5 : Advising Bank. Definition, roles and responsibilities in a letter of credit transaction. Confirming bank is the bank that adds its confirmation to a credit upon the issuing bank’s authorization or request. 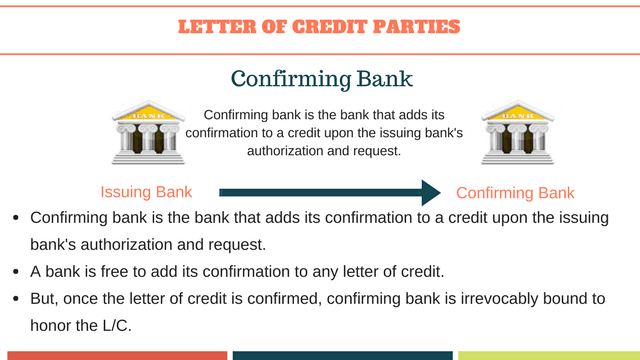 Confirming bank may or may not add its confirmation to a letter of credit. This decision is up to confirming bank only. 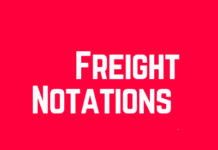 However, once it adds its confirmation to the credit confirming is irrevocably bound to honor or negotiate as of the time it adds its confirmation to the credit. Even if the issuing bank fails to honor, confirming bank must pay to the beneficiary. Figure 6 : Confirming Bank. Definition, roles and responsibilities in a letter of credit transaction. 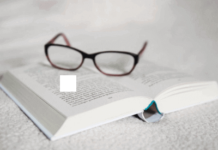 Reimbursing Bank shall mean the bank instructed and/or authorized to provide reimbursement pursuant to a reimbursement authorization issued by the issuing bank. Reimbursing Bank is the settlement bank between the issuing bank and the nominated bank or the confirming bank. If letter of credit currency is USD, reimbursing bank is usually located in US. 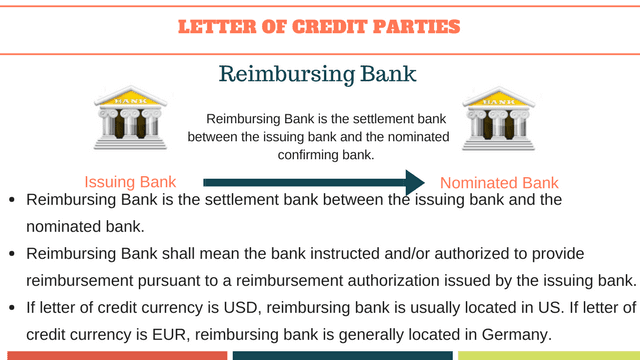 If letter of credit currency is EUR, reimbursing bank is generally located in Germany. Figure 7 : Reimbursing Bank. 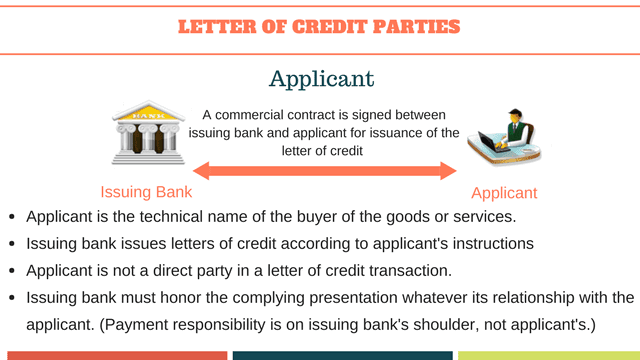 Definition, roles and responsibilities in a letter of credit transaction.